On paper Piercing 1 is a film that seems impossible not to love. 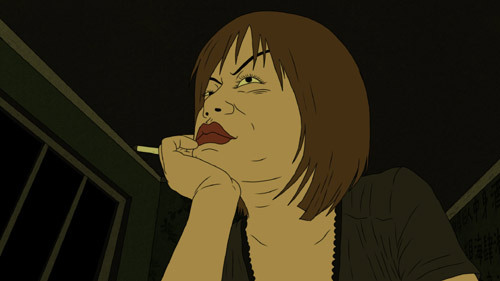 A film looking at the 2008 financial crisis through the use of animation reminiscent of the early works of Mike Judge is an easy sell for many. Now maybe it was a result of expectations being higher than they should be, but it was tough to not walk away from Piercing 1 feeling cold and somewhat confused. Maybe that was director Jian Liu’s point all along. The year is 2008 and the world’s economic crisis has had a devastating impact on mainland China. Major companies have closed down leaving many workers, such as Zhang Xiaojun, from rural villages struggling to cope. Even the companies that are still striving are using illegal practices to secure contract rights. Disenfranchised by his lack of job prospects, and tired of being a literal punching bag, Zhang contemplates returning home to his mother’s farm. His friend Dahong, who believes that the crisis has no impact on those already poor, convinces Zhang to take part in a blackmail scheme destined to them rich. Little do Zhang and Dahong know that they are about to stumble into a web of corruption far bigger than they could ever imagine. Piercing 1 starts off taking poignant jabs at the way big name corporations have played a role in the financial downfall of the world. On the almost ghost like city streets the corporate logos of prominent American franchises always seems to be present. Liu comments on how those in power have used their wealth and clout to abuse the system. This is most evident when Zhang is accused of committing a hit and run by the police when in fact he was the only person around to help the victim. 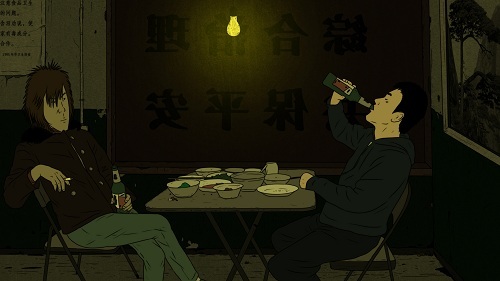 It is only after Zhang is violently interrogated by the police that it is revealed that a prominent figure, with connections to one of the officers, is the one pulling the strings for Zhang’s arrest. The message of Liu’s film begins to get muddled in the second half. The film veers away from Zhang’s story in order to emphasize the power struggle between two corrupt business men. Particular characters, most notably a small time criminal, are introduced but not fully developed. Many of the plot devices in this section seem to serve no other purpose than to expedite the violent, and slightly nonsensical, final twenty minutes. Zhang pretty much goes from being the focal point of the film to a mere passenger. Speaking of the ending, the film completely goes in an unexpected direction. While the results will be shocking for some, others will be rather indifferent to the ending. 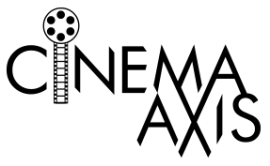 Piercing 1 had the components to be a scathing commentary about the effects of the financial crisis. Unfortunately, the messy corporate blackmail of the second half keeps Piercing 1 from reaching such heights. Piercing 1 is playing Saturday at 10:30 pm at The Royal. Tickets can be purchased online or at the theatre box office. This looks like I film i would love, as it seems to have some neat animation. I guess it could be a let down though? Nice review CS! @Matt S – Actually I still recommend seeing the film. I think just went into with my expectations set too high.